Payroll Control Systems (PCS) is a payroll services company providing payroll, payroll tax, time & labor and human resources solutions nationwide. What sets Payroll Control Systems (PCS) apart from other payroll service companies? A live person will always answer the phone, not a computer. You will always work with a dedicated Client Account Manager who knows you and your specific payroll needs. 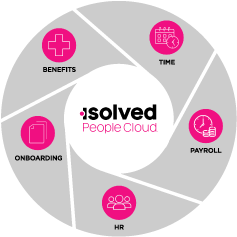 We provide personalized training on all of our payroll, HR and timekeeping solutions. Our state-of-the-art software is flexible and totally customizable to ensure that you are getting exactly what you need. Our best-in-breed business model ensures you have the best software for each application. For more than 20 years Payroll Control Systems has focused on processing payroll for a wide variety of clients. Our goal has always been simple: Provide the best service possible while providing our clients with the best products and technologies available. Our Payroll and Human Resource products and solutions are state of the art and the most comprehensive and flexible on the market today. In addition, they are constantly evolving to meet the ever changing requirements of our clients.